Do you use sodium bromide in your swimming pool? 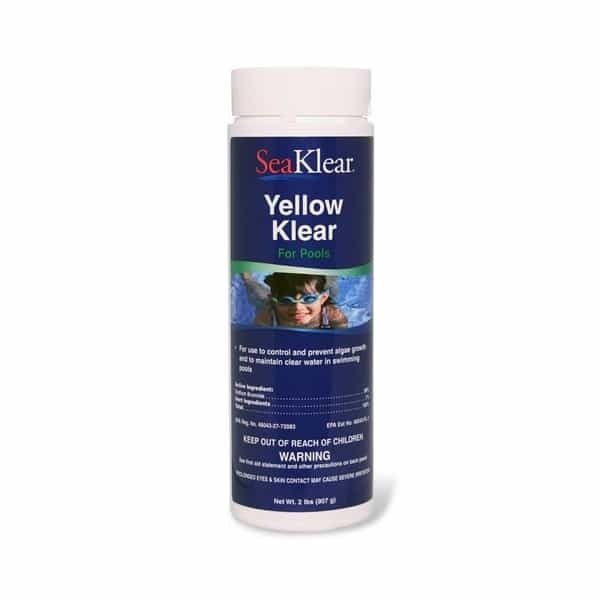 Yellow Klear from SeaKlear and HaloSource offers 2 pounds of 99% sodium bromide in dry powder form, touted as the strongest in the pool supply industry. Algae problems can kill the fun summer brings. Prevent, control and kill algae in your swimming pool, granting crystal clear water to all swimmers. Sodium bromide is an inorganic compound that disinfects pool water, and Yellow Klear from HaloSource packs a powerful punch of this solution. We have hand picked this product for your swimming pool - Family Leisure showcases the best pool supplies with free shipping nationwide, from New York to California!